Is Smoking Cigarettes Allowed in Islam? Smoking is a habit that has spread among men and women of all ages. The widespread nature of this habit is a phenomenon of deep concern to health authorities and religious scholars, as it produces destructive effects on the health of present and future generations, who are entrusted with the duty of protecting the faith and building a better world. Religious and medical scholars, and others, have made it clear that they are fully determined to confront this lethal habit and check its spread by demonstrating its numerous risks and defining Islam's stance on the subject. Islamic rulings range from the obligatory, the recommended, and the permissible to the haram, all of which are ordained by God who says: None can command except God. (22:67). Scholars have defined a ruling as a divine injunction that concerns the acts of His adult responsible subjects, and the injunction may be imperative or optional. When it is said that a religious ruling is God-ordained this means that it rests on a legal foundation acknowledged in the sharia: in other words, it is inferred from legally-recognized evidence and not from a purely mental attestation. The duly recognized evidence for religious rulings are the Quran, the sunna, consensus and analogy. If a jurist is asked to give a ruling on a certain matter the first thing he does is to consult the Quran. Should he find no provision in the Quran with a direct bearing on the matter at issue he proceeds to consult the sunna of the Prophet PBUH. If he is still without the proper guidance the next legislative authority to consult is the consensus of opinion of scholars. If no consensus is available with regard to the matter in question he may use his own judgment based on analogy, but observing all relevant considerations. Smoking is not specifically mentioned in either the Holy Quran or the sunna of the Prophet PBUH. A consensus of opinion on it was out of the question as smoking was unknown to the learned men at the time of the Prophet PBUH, and for a long time thereafter. For the same reason it was not dealt with by the founders of the four schools of Islamic fiqh, Imams Abu Hanifa, Malik, Al-Shafie, and Ahmad Ibn Hanbal. Smoking came to be known for the first time in the 16th century AD, through Spanish explorers who brought tobacco from the New World to their country, where it spread to various parts of the world, through France. When Muslims came to know smoking in the late 10th or early 11th century of hijra, scholars endeavoured to formulate an opinion on it but they were unable to reach a consensus. Most of them ruled that it was haram; some did not go as far as that, judging it as reprehensible; others thought it to be permissible, while a last group withheld judgment (on the basis that they did not have at their disposal any provisions from the Quran or the sunna to guide them one way or the other). 1. Sheikh Shirnibali of the Hanafi school. In no ambigious terms Sheikh Shirnibali decided it was haram. He summed up his ruling in the following statement: "It is forbidden to sell or smoke tobacco. To smoke while fasting undoubtedly breaks the fast". 2. Hanafi scholar Sheikh Ismail al-Nabulsi reported that a husband has the right to forbid his wife from eating garlic and onions as well as anything else that might foul the breath. He went on to say that as smoking fouled the breath, a wife must be forbidden to smoke, especially if her husband is a nonsmoker. 3. Hanafi scholar Sheikh al-Misairi is reported by his disciple Sheikh Ismail al-Nabulsi to have declared that smoking was haram. 4. Sheikh Al-Emadi of the Hanafi School. Ibn Abdin in his annotation says: "Al-Emadi's words seem to indicate that he considered smoking reprehensible bordering on haram, and that a smoker is a sinner (fasiq)". 5. Hanafi scholar Ala' al-Din al-Haskafi in his work entitled Addur al-muntaqa was emphatic that smoking was haram, not in itself, but on the basis of the Sultan's fiat banning its use. 6. Sheikh Ibrahim al-Laqqani of the Maliki school ruled it to be haram. 7. Sheikh Salim al-Sanhouri of the Maliki school. Al-Sanhouri's disciple Sheikh Ibrahim al-Laqqani reports that "when smoking became first known in Egypt a man from the Maghreb named Ahmad ibn Abdullah brought in some tobacco and enquired about it from our guide and imam the learned scholar Salim al-Sanhouri who ruled that it was haram. Sheikh Al-Sanhouri continued to hold on to this ruling till his death without ever running up against any dissenting opinion. His ruling, which I heard verbally from him and read in his writings, was meticulously observed by men of piety from the Hanafi school as well as from other schools". 8. Sheikh Shihab al-Din al-Qalyubi of the Shafie school says: "All solids which have a drugging effect and could benumb the brain are clean in themselves but haram due to their effect. Some of our mentors have stated that this rule applies to smoking, and rightly so. For one thing, smoking opens up the passages of the body, making them vulnerable to several grave diseases. For example, a smoker's body becomes flabby and develops boils. Smoking could also lead to blindness. Knowledgeable people report that it also causes dizziness. It is obvious that this is more harmful than makmour (a kind of food) which was prohibited by Zarkashi in view of its harm". 9. Sheikh Al-Najm al-Ghazi of the Shafie school quotes the author of Addur al-mukhtar as saying: "Even if one does not dispute the smoker's claim that smoking is not intoxicating there is no denying that it causes languor, and is therefore haram on the basis of the saying of the Prophet quoted by Ahmad through Umm Salama to the effect that whatever caused intoxication and languor was haram. Indulging in smoking once in a while may not constitute a major sin, however if the ruler forbids its use, it becomes categorically haram, as its use may harm the body. And, like all minor sins, persisting in it makes it a major sin." 10. Sulayman al-Bujairami, of the Shafie school rules that "smoking that is now in vogue and which is called tobacco (may the person who introduced it be cursed) is but an ugly innovation (bida'a). Our mentor Sheikh Al-Ziyadi initially ruled that it does not violate the rules of fasting because he was not sure what it was. However, when he saw the stains it left on the smoker's pipe he changed his mind and ruled that it did after all constitute a violation of the rules of fasting". 11. Hanbali scholars of Najd: Sheikh Mustafa al-Rahibani says: "In all the four schools of fiqh there are those who ruled that smoking was haram, those who ruled it was reprehensible, and those who ruled that it was permissible. Most Shafie and Hanafi scholars were of the opinion that it was either pemissible or reprehensible, but some of them went further and declared it haram. Maliki scholars, on the other hand, are mostly of the opinion that it is haram; so are our Hanbali scholars, especially those of Najd. However, it has not come to my attention that any of our Hanbali colleagues has explicity ruled that it was haram." Smoking has definitely been proved to be detrimental to health as stated by knowledgeable persons and international medical conferences. It has been established that smoking causes cancers of the lung and larynx and poses serious hazards to the arteries. Furthermore, it wastes money being spent on something that brings no good to human beings. The Prophet PBUH has banned everything that causes harm to both health and wealth, whether of oneself or of others. Therefore, we are of the opinion that it is haram to smoke, import, export or trade in tobacco. God knows that which we do not know. 2. The International Islamic Conference to Combat Intoxicating Substances and Drugs, at which scholars declared that smoking, growing and trading in tobacco were haram. 3. Sheikh Muhammad Ibrahim al-Sheikh, former Grand Mufti of Saudi Arabia. In his ruling he declared that smoking was undoubtedly foul, noxious, languorous and sometimes intoxicating. He further stated that smoking was haram on the basis of authentic quotations, sound judgment, and the opinion of authoritative physicians. 1. Smoking is harmful to health, according to authoritative physicians, and anything that has such an adverse effect is ruled haram by consensus. 2. It is a form of drug whose use is forbidden by the sharia on the strength of Umm Salama's report that the Prophet PBUH prohibited everything that caused intoxication or languor, a prohibition which applies to smoking as it causes languor. 3. Smoking is malodorous and offends nonsmokers, especially at congregational prayers and similar gatherings; it also offends the honourable angels. The Prophet PBUH, said "Whoever eats garlic or onions, let him stay away from us and from our mosque and let him stay at home" (reported by Al-Bukhari and Muslim quoting Jaber) Another saying by the Prophet PBUH tells us that "the angels are offended by the same things which offend human beings". Furthermore, the Prophet PBUH says: "Whoever offends any Muslim has offended me, and whoever offends me has offended God "(reported by Al-Tabarani quoting Anas). 4. Smoking is an extravagance, since it has no use and causes certain harm as reported by specialists. 1. The Hanafi scholar Sheikh Al-Emadi as reported by the author of Addur al-mukhtar. Ibn Abdin, however, commends the fact that the statement of Al-Emadi apparently indicates that smoking is reprehensible bordering on haram and that a person who smoked was a sinner. 2. The Maliki scholar Sheikh Muhammad Elaish says that Al-Laqqani ruled smoking to be haram, whereas Al-Ajhouri ruled that it was not prohibited. Later scholars have followed Al-Ajhouri's ruling in spite of the fact that evidence was more in favour of the ruling that it was haram. He also says that it is a form of piety to abstain from smoking. The body of his rulings as a whole suggests that smoking is reprehensible. 3. The Shafie scholar Sheikh Abdullah al-Sharqawi says: "...and with regard to smoking the accepted opinion is that it is reprehensible. Al-Qalyubi's ruling that it is haram on account of the fact that smoking leads to blindness and causes boils, flabbiness and inflation of veins is debatable. Those who are more convinced of its harm are prohibited from smoking. However, this ruling is not confined to smoking, for it applies in some cases even to honey which is also a cure for physical ailments as we are told by God". 4. The Hanbali scholar Sheikh Mustafa al-Rahibani says: "As for me, I have no doubt that it is reprehensible". 5. Hanbali scholar Sheikh Mansour al-Bahuti. Sheikh Al-Rahibani says that Sheikh Mansour in his book Adabun nisa apparently suggests that smoking is reprehensible. Those who said that smoking was reprehensible supported their ruling by the following arguments. 1. Smoking is a waste of money. 2. It fouls the breath in the same manner as raw onions, garlic, leek and similar food. 3. It is incompatible with decency in the sight of those who champion virtues and high ideals. 1. The Hanafi scholar Sheikh Abdulghani al-Nabulsi who wrote a treatise proving that smoking was permissible, entitled: As-sulh bayn al-ikhwan fi ibahati shurb ad-dukhan. 2. The Hanafi scholar Sheikh Muhammad Amin "Ibn Abdin" said that should it be established that smoking was nothing but detrimental, one could rule it to be haram; otherwise the general rule of permissibility would be applicable. "As most Muslims are afflicted by the habit of smoking, a ruling of permissibility would be a great relief. Let us keep in mind that whenever the Prophet PBUH had two things to choose from, he always chose the easier. That smoking is an innovation (bida'a) should not give cause to worry, for it is an innovation in terms of what one consumes and religion is not involved". 3. The Hanafi scholar Sheikh Muhammad al-Abassi al-Mahdi says that smoking which does not affect the brain, causes no harm to the body, does not produce languor, leads to nothing that is forbidden by Islamic laws and incurs no harm whatsoever is most probably permissible. 4. The Maliki scholar Sheikh Ali al-Ajhouri is in favour of permissibility, on which he wrote his work entitled Ghayatul bayan fi hill shurb ad-dukhan. 5. The Shafie scholar Sheikh Al-Sharwani says that a tobacco allowance must be included in the money a husband pays for the maintenance of his wife if she is a smoker. 6. The Hanbali scholar Sheikh Mar'i al-Karmi is of the opinion that the use of tobacco and coffee is permissible although it is more appropriate for decent people to avoid both. These were the scholars of an earlier era who ruled that smoking was permissible. Contemporary religious scholars who are of similar inclination include the following. 1. Sheikh Hassanain Makhluf, who said in his fatwa dated 25 Muharram 1367 AH (8 December 1947): "The right judgement to us, as in Raddul al-muhtar, is that it is permissible". 2. Sheikh Hassan Mamoun, who made a fatwa to this effect on 8 Jumada Al-Ula 1349 AH (10 November 1959). Those who said that smoking was permissible substantiated their ruling by the following arguments. 1. As a general rule all things which cause no harm are classified as permissible, as long as they are not prohibited by any religious injunction. 2. Prohibition and reprehensibility are two religious rulings which are applicable only if they are supported by evidence. In the case of smoking, there is no evidence for prohibition or reprehensibility. 3. There is no evidence that smoking causes intoxication, languor or harm. On the contrary it has been established to be beneficial. Thus it is covered by the general rule that unless proved otherwise all things are presumed permissible. Even if it presumably poses certain hazards to some people, it should not be prohibited to everybody. Honey, for example, is categorically stated to be a cure, yet it is harmful to people who are of choleric temperament, and may ail them. 4. Safe judgment is not achieved by inventing prohibition or reprehensibility without evidence, but rather by ruling permissibility, which is the original status of all things. A comment on the arguments of those who ruled that smoking was permissible. All scholars who stated that smoking was permissible did so on the basis that there was no evidence in the sharia proving that impermissibility of smoking had been established nor had smoking not been proved to cause intoxication, languor or harm so as to make it haram or reprehensible. That being the case, smoking was treated under the general rule of presumption of permissibility of all things, as indicated in their arguments above. After these scholars made their rulings, it was established beyond doubt that smoking posed serious health hazards and caused grave diseases that were difficult to treat and might be fatal. Thus, the grounds for permissibility are no longer valid and smoking should be ruled upon differently in light of the valid evidence that we shall advance after briefly stating the opinion of specialists with regard to the effects of smoking. 1. Dr Abdul Aziz Samy, Professor of Chest Diseases and former Dean of the Faculty of Medicine, Cairo University. "The health hazards of smoking have become so evident that there can be no room for doubt any more. The following is a brief account of the data confirmed so far. 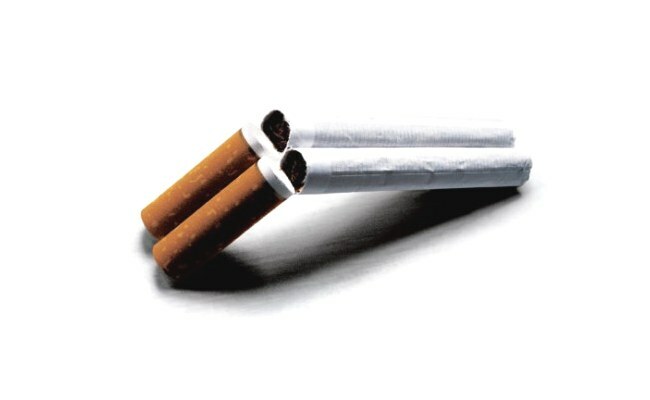 Statistics indicate that: mortality rates among smokers before the age of 65 are twice those among nonsmokers in the same age group; absence from work among smokers is three times higher than among nonsmokers; the incidence of lung cancer is 70 to 90 times higher in smokers than in nonsmokers; the incidence of bronchitis and pulmonary emphysema among smokers is six times as high as among nonsmokers and death attributed to them is nine times higher among smokers than nonsmokers; and 25% of deaths due to heart disease are caused by smoking. Smoking is also closely linked to stomach and duodenal ulcers and to diseases of the blood circulation. Women who smoke reach their menopause earlier than women who do not smoke. Miscarriage and premature delivery occur more often in women. Moreover, mixing with smokers, particularly in poorly ventilated spaces, exposes nonsmokers to the same hazards to which smokers are exposed. It has been estimated that a nonsmoker inhales the equivalent of one cigarette for every hour of breathing smoke-polluted air." 2. Dr Ismail al-Sebai, member of the board of the International Cancer Association. "Diseases caused by smoking are considered the most important and serious known and confirmed causes of death in the world today. In developed countries, cardiovascular and cerebral diseases account for 50% of all deaths, while cancer accounts for 30%. Smoking is the most important causal factor in these and many other diseases many of which result in death, such as pulmonary diseases ." 3. Dr Sherif Omar, Professor of Brain Surgery, Cairo University. In a report on the harmful effects of smoking on health Dr Omar states: "Smoking is confirmed to be harmful to health. It is a cause of cancer, heart and other diseases, including cancer of the lungs, the larynx, the mouth, the oesophagus, the bladder, the kidney and the pancreas, as well as of cardiovascular diseases, such as clots, arteriosclerosis and peripheral arteriosclerosis and lung diseases. Smoking is particularly harmful in women, leading to underdevelopment and low birth weight of the fetus in women who smoke while pregnant. It also exposes the fetus to congenital malformations, and increases the fetal mortality rate before and during birth by 28% compared with the rate among mothers who do not smoke. Women who smoke have their menopause earlier than women who do not smoke. Smoking has a direct effect on the fetus through the umbilical cord and its effects on the child continue until the age of 11 years." This report was endorsed by Dr Ismail al-Sebai and Dr Abdul Basit al-Asar, Professor and Chairman of the Department of Cancer Biology at the National Institute of Tumours. 4. Dr Mahmoud Muhammad al-Marzabany, Professor of Pharmaco- Chemistry and Cancer Experimental Treatment at the National Institute of Tumours. "There is no doubt that smoking causes several diseases; especially diseases of the respiratory system heart diseases and arteriosclerosis. It is also an important factor in the development of cancer of the lungs, the pharynx, the pancreas and the bladder. It has been established that the harm of smoking is not confined to smokers but extends to those around them." 5. Professor Muhammad Ali al-Barr, FRCP. "There is no doubt that smoking is harmful. In fact, the health hazards of smoking are now considered far more serious than those of the plague, cholera, smallpox, tuberculosis and leprosy combined. The adverse effects of smoking on health are frightening, especially when we realize that millions of people die of smoking every year, and that tens of millions suffer grave diseases that make their lives a continual series of suffering and misery, and all because of smoking. The most important diseases affect smokers as follows. a) Respiratory system: Cancer of the lungs and the larynx, chronic bronchitis and pulmonary emphysema. b) Heart and circulatory system: Cardiac thrombosis, sudden heart failure, blood vessel occlusions leading to paralysis, clotting and disorders of peripheral blood circulation. c) Digestive system: Cancer of the lips, mouth, larynx and oesophagus, gastric and intestinal ulcers and cancer of the pancreas. d) Urinary system: Benign tumours of the bladder, bladder cancer and cancer of the kidneys. e) Pregnant women and children: Repeated miscarriage, low birth weight, high neonatal mortality and stillbirth rates and higher incidence of infant pneumonia. f) Rare diseases: Inflammation of the optic nerve, blindness, increased allergic diseases such as asthma, urticaria and dermatitis, ear, nose and throat diseases, aggravation of high blood pressure and diabetes, raised cholesterol levels and obesity." Dr Al-Barr adds that it has been found that 95% of patients suffering from arterial disorders of the leg are smokers, and 5% only are non-smokers, making it almost exclusively a disease of smokers. It has also been found that smokers are exposed to the dangers of cancers of the mouth, oesophagus, pharynx and larynx ten times more often than non-smokers; that deaths attributed to smoking-related diseases are far more than deaths caused by all epidemic diseases combined; and that one out of every three smokers dies due to smoking. These reliable medical specialists, whose views and reports are to be respected, have determined (as other scientific bodies and scientists have determined), both in laboratory and applied experiments and from statistics, that smoking is a cause of the potentially fatal diseases mentioned above. Together with our faith in God's absolute power in life and death, we also believe that God has established a relation between cause and effect, action and result. Governments have accepted the views of medical experts and now require tobacco producers to print a warning on their products saying that smoking is harmful to health. Had these producers been able to oppose such a directive they would have not submitted to it, and they would have certainly endeavoured to remove this stigma from their product. This in itself is but another proof that smoking is harmful. In the light of the above comment on the ruling by some scholars that smoking is permissible, and of the statements of medical experts reported above, as well as their reports on the diseases caused by smoking, and since these statements and reports are made by Muslim physicians whose testimony is reliable and acceptable; and, further, in the light of the evidence produced by those scholars who declared smoking to be haram the religious ruling that is acceptable and convincing, is that smoking is haram. This is supported also by the following. 1. Smoking causes severe harm to human health and leads to death. God has forbidden self-destruction: Kill not yourselves, for verily God has been to you most merciful (3:29). The companions of the Prophet PBUH understood that this verse forbade a Muslim to expose himself to danger or to destruction. Amr ibn al-As invoked this verse when he refused to wash himself with cold water when he was in a state of major ritual impurity at the battle of Thatu al-asalasil lest he should suffer severe harm. The Prophet PBUH accepted the justification given by Amr, laughed and said nothing. Abu Said al-Khodary reports the saying of the Prophet PBUH: "Do not harm yourselves or others". The Hanbali scholar Ibn Rajab says: "In any case, the Prophet PBUH has forbidden unjustified harm. The general statement of "Do not harm yourselves" also covers the fact that God has not ordered men to do anything that may cause them any sort of harm: thus He allows an ill person not to use water for ablution when it is harmful to do so, has relieved a travelling or a sick person of the obligation to fast and removed some of the obligations of pilgrims, such as cutting the hair should it be necessary, provided that the pilgrim makes up for it. Ibn Abbas reports that the Prophet PBUH was asked: "What is the dearest religion to God?" upon which the Prophet PBUH said: "The true and tolerant religion". Aisha reported that the Prophet PBUH said: "I have been sent with a true tolerant religion". It is thus evident that harm itself is prohibited in the sharia, as is causing harm. Consequently, bringing about harm to oneself through smoking is haram. Prohibition against self-destruction and against causing harm to oneself or to others is in fact provided for in the Quran and in the sunna. To do something prohibited is haram unless otherwise stated; and there is no exception in the case of smoking. 2. Smoking incurs financial waste and loss, which are prohibited in the sharia. Al-Moghira ibn Sho'oba reports that the Prophet PBUH said: "God has prohibited undutifulness towards mothers, withholding the dues of others, and asking aggressively for charity; He hates you to indulge in gossip, to ask useless questions, to bury your daughter alive (pre-Islamic custom), and to waste money". Al-Hafez ibn Hajar says that most scholars have interpreted the phrase "waste money" as to mean excessive spending, although others have taken it to mean excessive spending only on things that are haram. Ibn Hajar adds that it is more likely that the phrase actually means spending money on things which are not allowed in sharia, whether they are worldly or religious things. This prohibition is derived from the fact that God has declared that money should be spent for the good of human beings, and overspending does not achieve this purpose. No one can dispute that the worst way to lose money is when it is wasted and burnt in tobacco which has been bought with it. For this money ends in smoke lost in the air, ashes scattered away and diseases which attack the human body to destroy health and cause death. God has prohibited excessive spending and described spendthrifts as brothers of devils: Give the kinsman his due, and the needy, and thewayfarer, but squander not (your wealth) in the manner of a spendthrift. Verily spendthrifts are brothers of the devils, and the devil is to his Lord ungrateful. The Imam Al-Shafie said: "Squandering money in the manner of a spendthrift is spending money wrongly, but spending for charitable purpose is not squandering"; this interpretation is accepted by the majority of scholars. Money, or wealth, in the hands of people surely belongs to God, whereof He has made them trustees. It should be spent only in obedience to God, as He said: Believe in God and this messenger; and spend of that whereof he has made you trustees (107:7). Explaining this verse, Al-Qurtubi says that it establishes that God owns everything in the first place and that human beings can dispose of what they have only in a way that pleases God, who rewards them in return with paradise. Spending money on smoking does not constitute obedience to God, nor does it please him. Furthermore, the national economy is adversely affected by the frequent absence from work due to diseases caused by smoking, as has been stated by authoritative experts. Such absence may amount to millions of working days. The economic status of the individual may also be badly affected by money spent on the treatment of diseases caused by smoking. Moreover, the money spent in this direction may be needed by the individual himself or his family, and the Prophet PBUH has said: "It is a sin that a person should deprive those whom he supports". 3. Smoking is bad and impure and God has prohibited all such things: Those who follow the Messenger, the Prophet PBUH who could neither read nor write, whom they find described in their Torah and the Gospel, He will enjoin on them that which is right and forbid them that which is wrong. He will allow them all good (and pure) things and prohibit them all foul things (7:157). A normal person will find tobacco obnoxious in both smell and taste. As Sheikh Elaish said: tobacco has an offensive smell and to deny this fact is nothing but obstinacy. The foul smell of tobacco is indeed the least of its adverse effects; for the diseases and ailments it causes are far more serious than bad smell or bad taste. Smoking therefore is a foul thing, in view of its bitter taste, bad odour, and grave and fatal consequences. That makes it haram. And for sure, i'm not a smoker anymore.I already quit it. And for me, smoking isn't good enough and doesn't shows machoness of men. How about you?